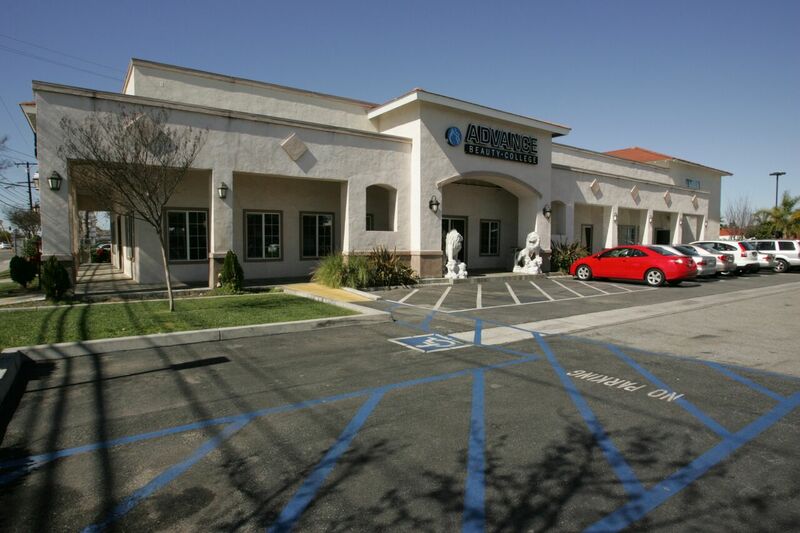 The Garden Grove campus is our original campus located in central Orange County. 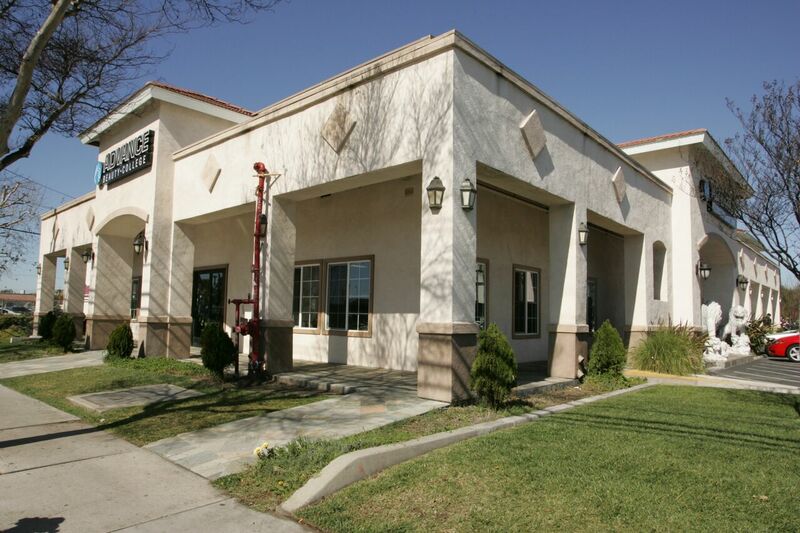 The 9,000 square foot campus is in a prime location with street front visibility near public transportation, markets, and popular restaurants. 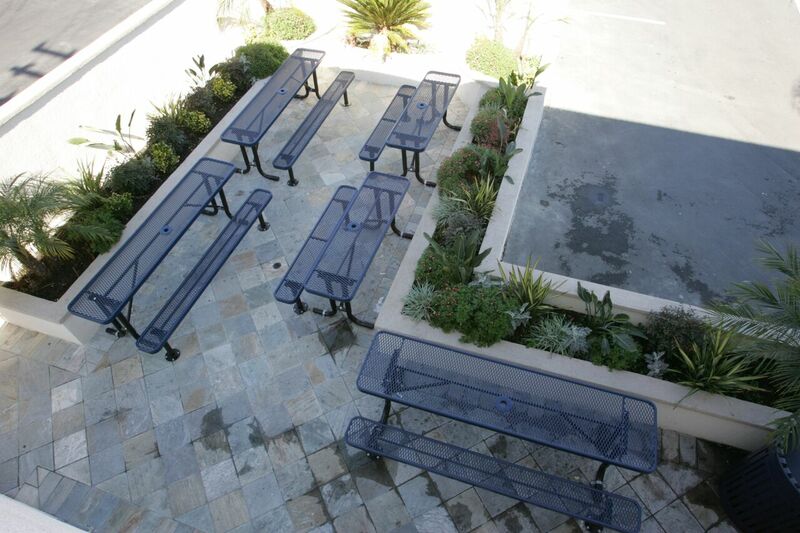 Our culturally diverse campus has a unique vibe that is energetic, inviting, and collaborative. The busy clinic provides ample opportunity for our students to be salon ready through hands-on training. Advance Beauty College manicuring program is an outstanding program with a legacy of success in the United States. 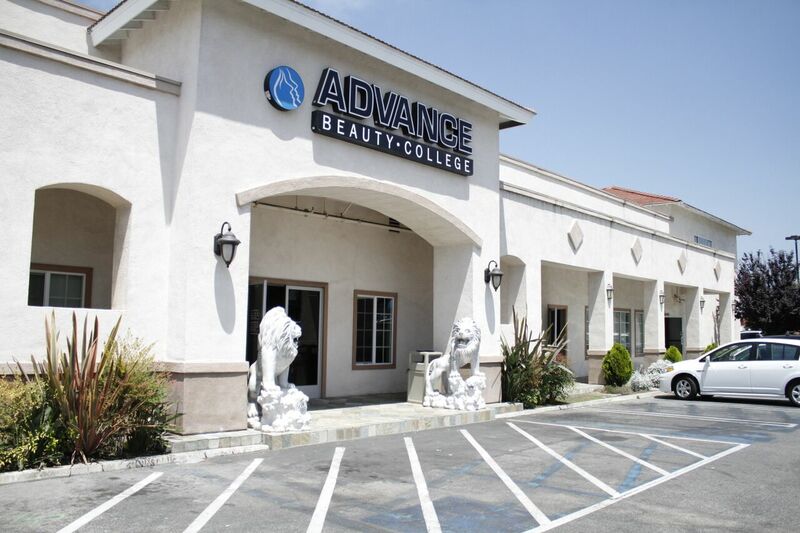 With over 30 years experience in training nail professionals and thousands of graduates, Advance Beauty College continues to be recognized as a global leader in the nails industry. Partnering with industry leaders such Young Nails, Bio Seaweed Gel, Color Club, Skyline Beauty Supply, Whale Spa and NGHIA Nippers, students have the opportunity to learn comprehensive nail theory in a collaborative environment. 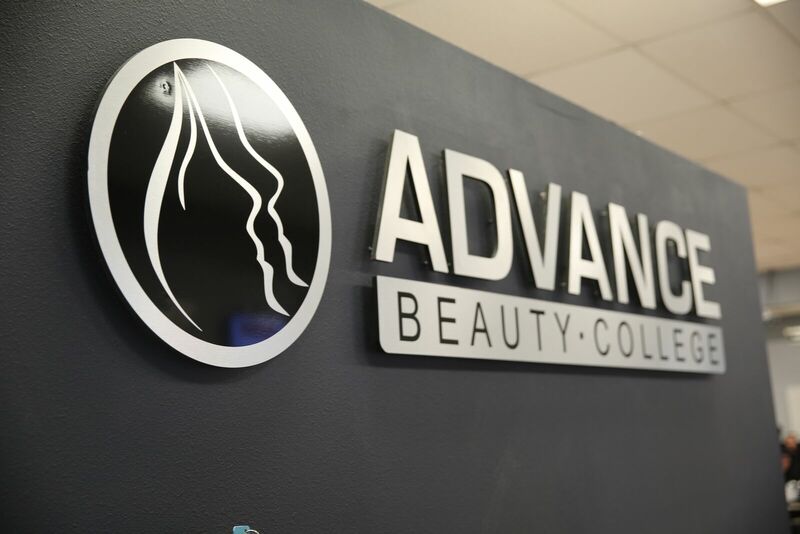 Advance Beauty College continues to be the first choice for employment of industry leaders as our graduates are represented throughout the United States and globally in the nails industry. This includes well known local, state and national brands such as Happy Nails, Holly and Hudson, House of Polish, Polished Perfect, PROSE, Regal Nails, MiniLuxe, and many others. Our most popular program is Manicuring because the short program can have you start school and working in as little as two months. The job market for manicurists is in high demand and continues to grow. 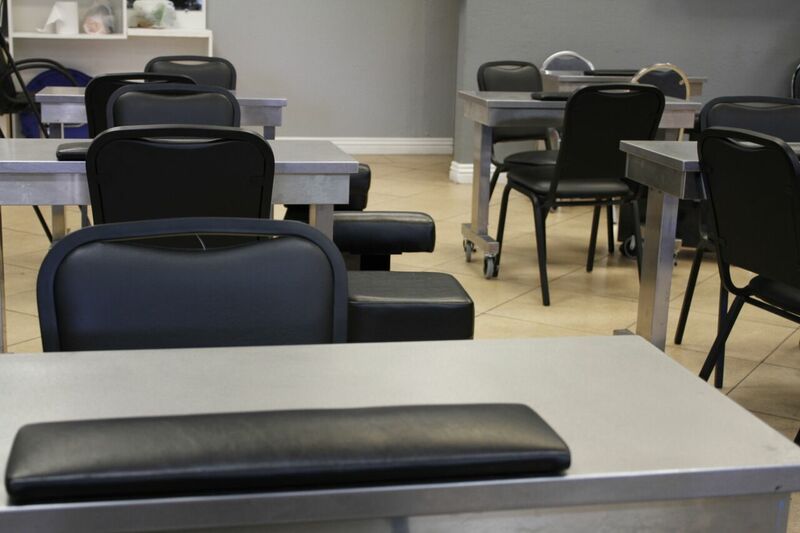 Our school offers the option for an advanced manicuring program where students can be prepared to to work in a salon with all the latest techniques and trends. The advanced program offers financial aid for those who qualify. Both programs continue to maintain a high state board pass rate and strong reputation in the community. Manicuring (400 hours) focuses on the basic techniques and strives to prepare students with the knowledge and practical skills to successfully pass the California State Board Exam. This includes manicure, pedicure, nail shaping, polish, nail tip application, acrylic application, nail wraps/repairs, and disinfection/sanitation procedures. Our manicuring program can give you the opportunity to be in the job market in as little as two months. Our advanced manicuring program extends beyond the fundamentals of our 400 hour manicuring program by introducing students to advanced techniques and making them marketable and salon ready. Included in the curriculum are services in spa manicure and spa pedicure using exfoliating scrubs, moisturizing masks, warm towel applications, and enhanced massage techniques to upgrade services. Gel polish technology that is widely requested in salon settings is also covered. Students can learn the utilization of professional nail enhancement systems, including sculptured gel application, dipping powder system, pink and white acrylic application, electric file, and trending nail shape techniques. Trendy nail art techniques will also be explored such as freehand nail art, dotting, and French manicures. We host career fairs and assist our students with job placement upon graduation. Our students have been nationally recognized and featured in Nails Magazine, Viet Salon, Nail Pro, Harper’s Bazaar, and InStyle, amongst many others. They have also been awarded the prestigious Beauty Changes Lives Tippy Hedren Nail Scholarship and OPI/AACS ACE Scholarship. 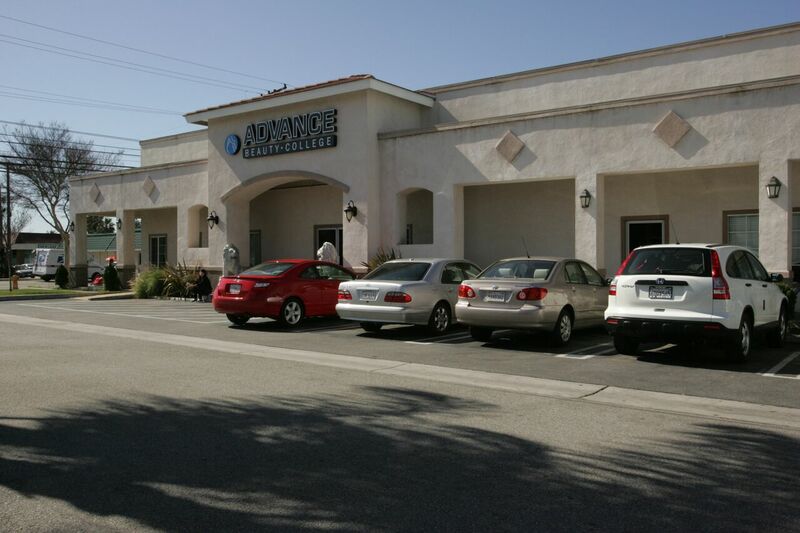 The Advance Beauty College cosmetology program provides advanced education in a collaborative learning environment. 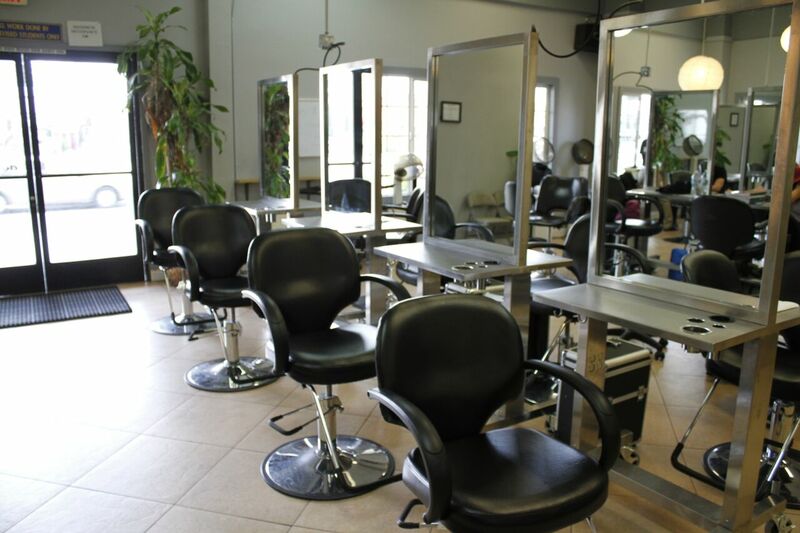 Within the 1600-hour course, the students can receive training in all areas of hair, skin, and nail services. This includes chemical services, haircuts, styling techniques, facials, waxing, makeup, artificial nail enhancements and manicures and pedicures. As a premier Matrix partner, top Matrix educators conduct in-house training for our students with the latest trends in color, cutting and styling. Students can learn the latest hair trends including balayage, ombre, marbleizing, color correction and formulation. This advanced education comes along with the essential haircutting, blow drying, and styling techniques with demos and hands-on training from the Matrix educators. In addition, students have the opportunity to be trained in soft skills such as consultation, retailing, and customer service, which many employers are now expecting of graduates. Cosmo students are given the opportunity to attend Future Industry Professionals Day at Dermalogica’s headquarters and participate in a dynamic day of education specifically developed for undergraduate students. In this learning session, students have the chance to be introduced to Dermalogica’s newest services and product offerings. Advance Beauty College students can also participate in the North American Hairstyling Awards and Barristar Student Competition. Our students have been awarded the prestigious Matrix” Imagine All You Can Be” national scholarship and the Great Clips award. The 1500-hour Barbering program at Advance Beauty College offers the latest techniques and trends in the rapidly growing field of barbering. 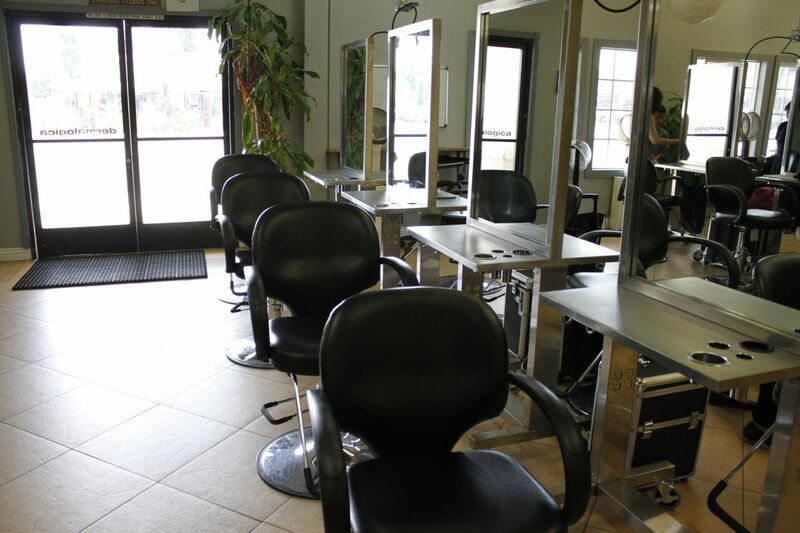 Students can learn cuts, fades, coloring, perms, relaxers, straight razor shaving, and hot towel treatments. 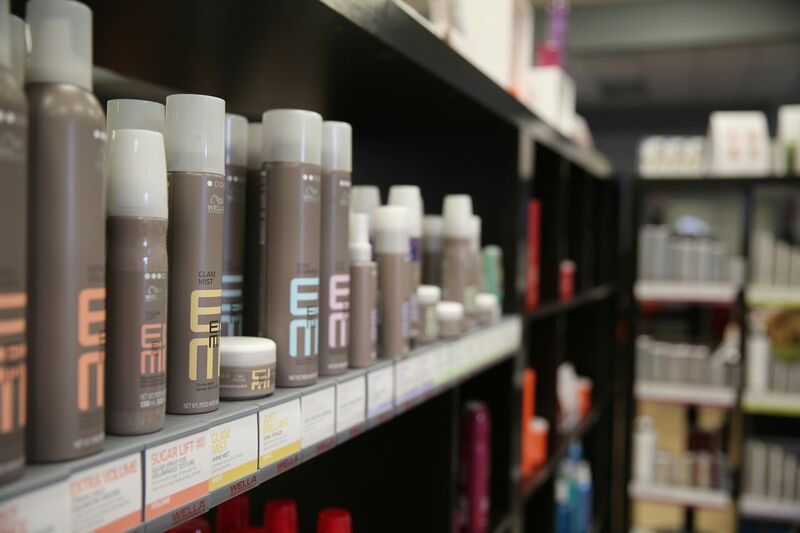 The school partners with Matrix to give students access to Matrix educators to teach them in-depth product knowledge, color formulation, and advanced color classes. With barbering in such high demand, there has never been a better time to start your barbering career. We assist the students with job placement and host a biannual career fair. We strive to ensure that our graduates are salon ready upon completion of the course. Cosmetologists who have completed their 1600-hour course of studies are eligible to enroll in our 200-hour crossover barbering program. This program builds upon the fundamentals of cosmetology with emphasis on straight razor shaving, styling, and grooming procedures for men. The esthetician course at Advance Beauty College combines modern skin care training in a professional, spa-like environment. Students can practice with electrical modalities such as the BT-Micro, NuFACE Microcurrent, steamers, more to ensure our students are keeping up with industry trends. Our school partners with popular brands such as Dermalogica and Image Skin Care. Advance Beauty College collaborates with these partners to bring education in-house and off-campus. During the Future Industry Professionals Day, students have the opportunity to visit Dermalogica’s Headquarters and participate in a dynamic day of education specifically developed for undergraduate students. They can take part in an accelerated learning session to get up close and personal with Dermalogica’s newest service innovations and product offerings. In addition, students can gain a clinical approach to skin care through Image clinical product systems and learn the importance of maintaining proper skin health. Students can also acquire a thorough knowledge of waxing and makeup techniques. Advance Beauty College partners with industry leaders to offer a master class series for students looking to enhance their skill set and offer more services to their clients. This master class features classes such as classic and volume lash extension by industry influencers Fuzion Artistry or Advanced Peels. We also offer the opportunity to learn LED therapy by award winning brands Image and LightStim. Our teacher training course is designed for those looking to become an instructor in the beauty school industry. Advance Beauty College teacher trainees work with industry professionals through a shadowing program to strive to help students receive the most advanced hands-on training while gaining valuable classroom time to build their theoretical skills. Teacher trainees also work with our industry partners by attending advanced classes and can gain a comprehensive knowledge of classroom techniques and industry trends. They participate in trainings offered exclusively to our instructors, addressing topics to help facilitate a successful learning environment. 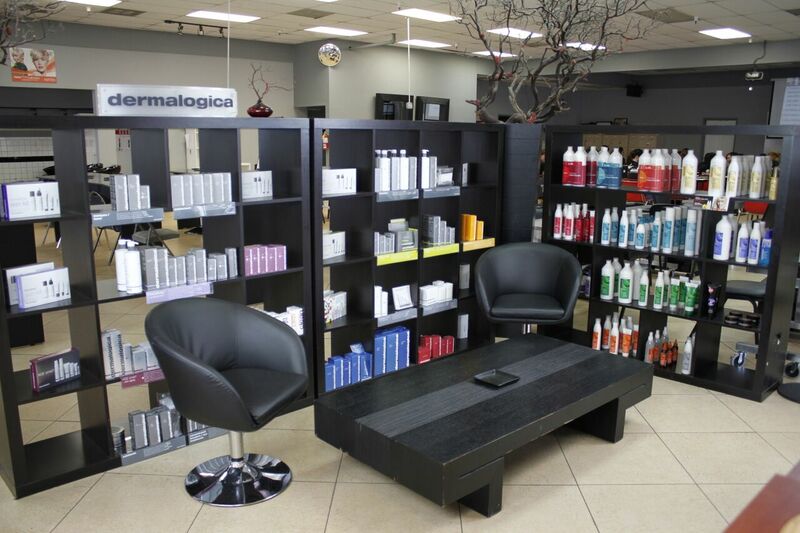 These partners include Matrix, Dermalogica, Image Skin Care, Young Nails, Color Club and many more.